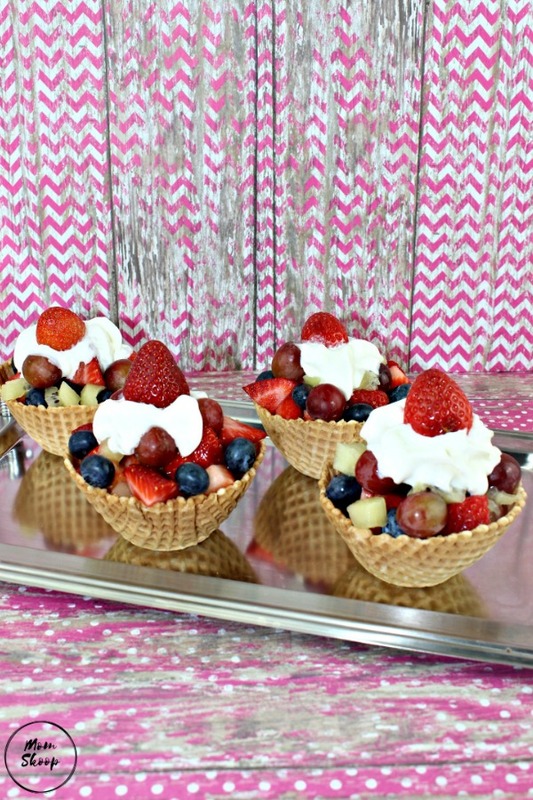 Summer is a time for outdoor fun: Swimming, bbq, sprinklers, picnics, and frozen treats galore. 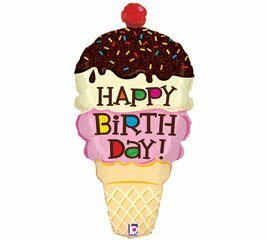 What better way to celebrate a birthday (or just celebrate for no reason at all) than with all the cold, delicious goodness of ice cream? 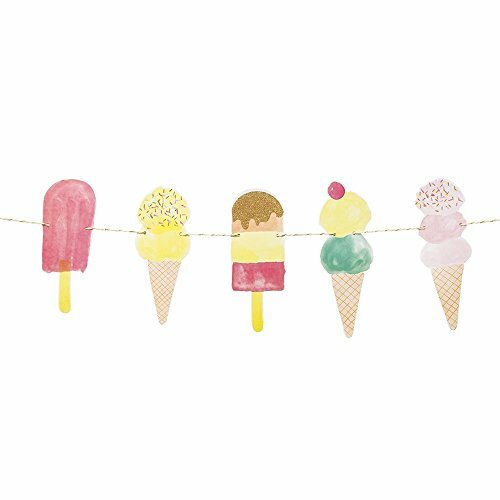 An ice cream sundae party is quickly becoming a favorite for kids of all ages and now you can get your summer sweet tooth groove on with this Free Printable Ice Cream Party Pack. 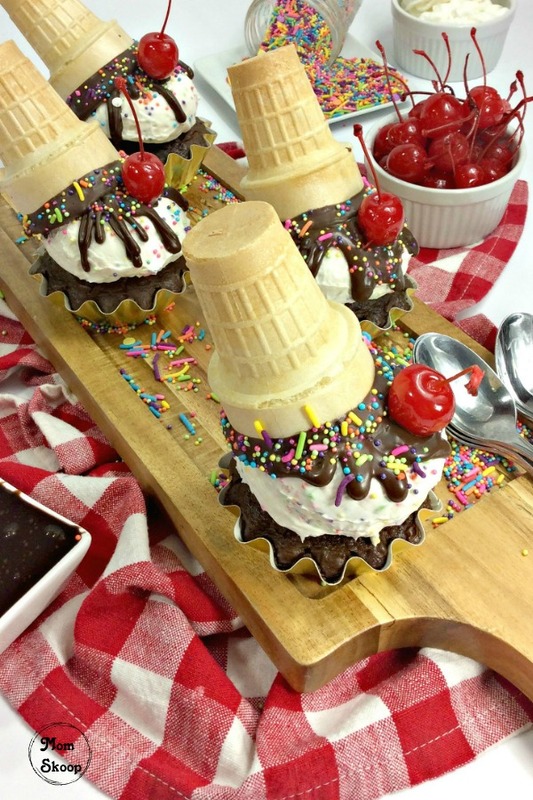 The possibilities with planning an Ice Cream Party are truly endless! 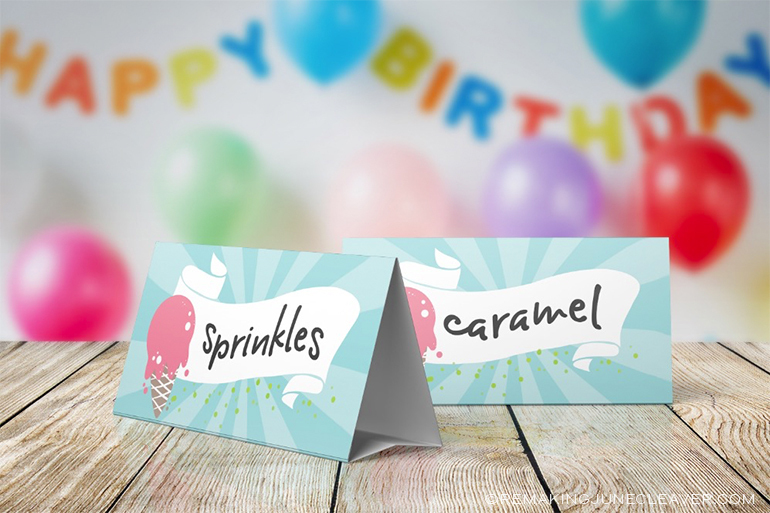 You can customize the toppings, ice cream flavors, bowls, napkins, and decorations! 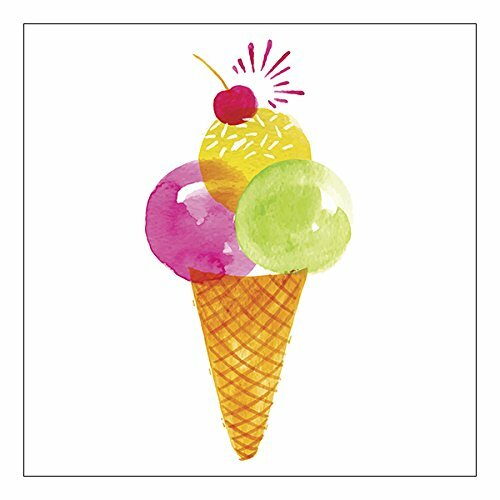 Another great thing about having an Ice Cream Party is that everyone from ages 1 – 100 will love it! 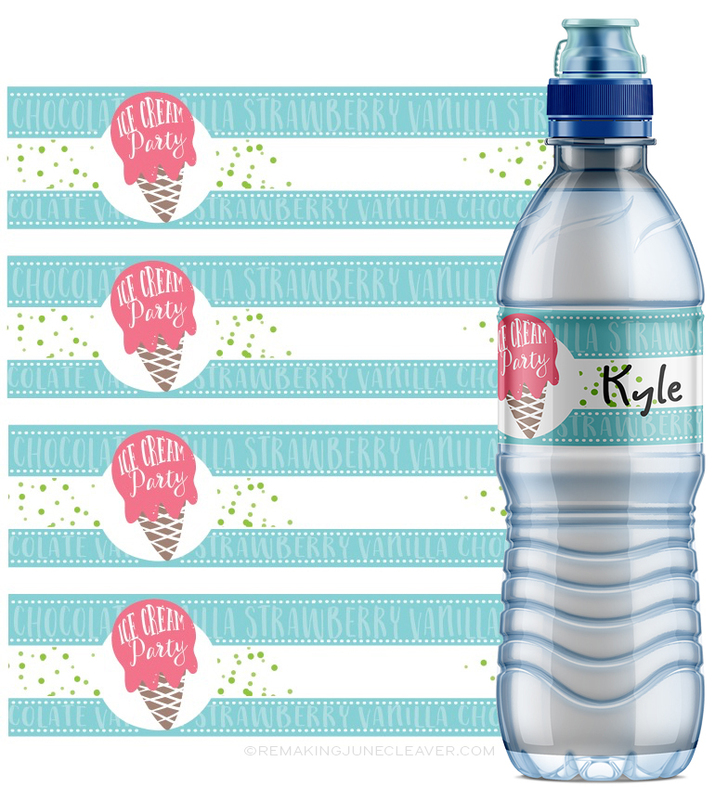 Don’t forget the FREE printables at the bottom of the post! 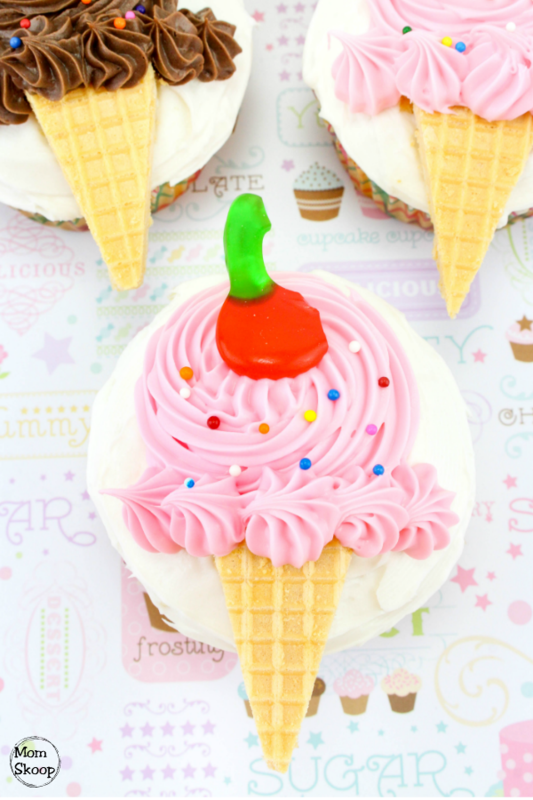 Here are a few tips to make your next Ice Cream Party a success! 1. Decide on your guest list: Will it be just for your family? Or will your kids be inviting some of their friends over? Make sure to confirm with your guests if anyone has any food allergies so you can make substitutions if needed. 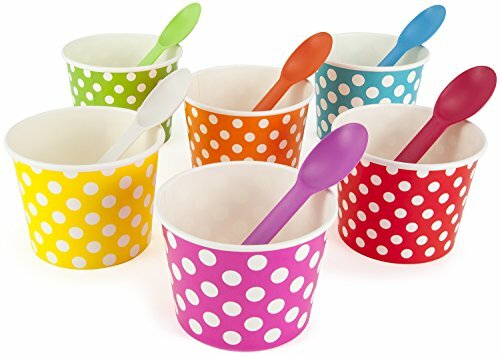 Frozen yogurt is always a great substitution! 2. Plan the decorations: The possibilities are endless! You can keep it simple and focus totally just on the tableware (spoons, bowls, napkins), or you can go all out with balloons, garland, and/or table décor! 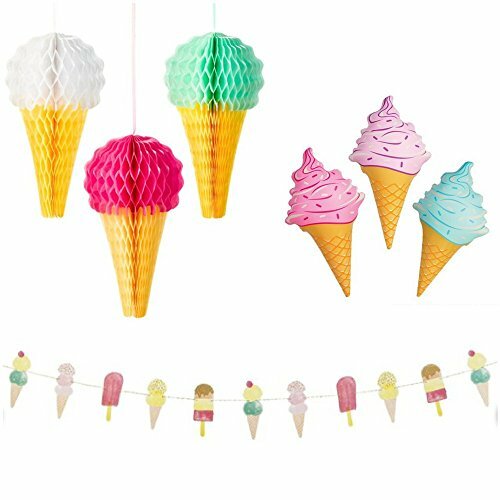 Check out these fun decorations! 3. 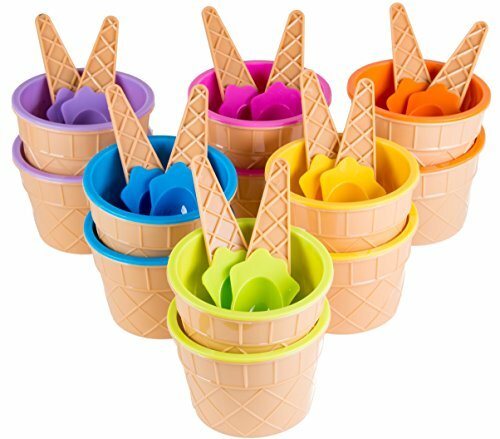 Consider how you will keep the ice cream cool: You can put the ice cream containers into metal buckets filled with ice, cold water, and table salt. 4. Purchasing tableware: This can be as basic or fun as you want it to be. 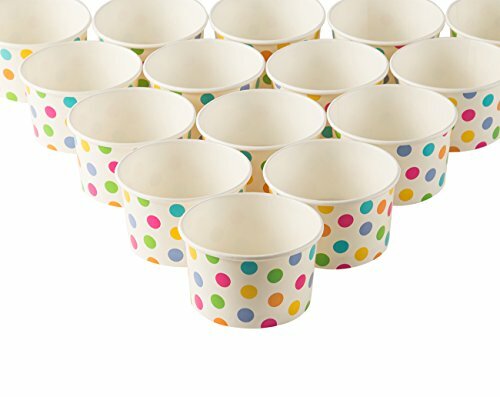 There are no rules when it comes to tableware! Grab bowls out of the cabinets and silverware out of the drawer. 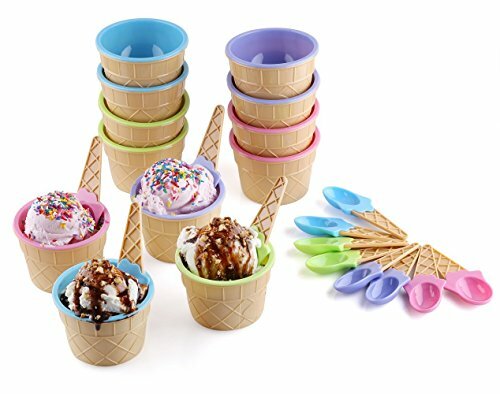 Or you can use fun ice cream styled tableware like these below. 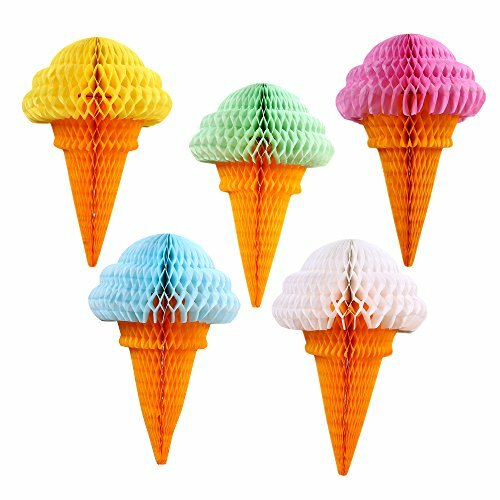 Also, make sure you have a variety of ice cream cones available for the guests who prefer those instead of their ice cream served in bowls. 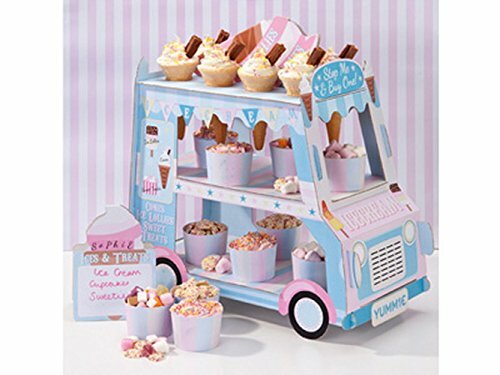 **TIP: Set Ice Cream Cone holders on the sundae bar table to help smaller guests keep their cones steady while they pile on the toppings. 5. Keep It Fun: Use a chalkboard to create a custom Flavor Combo Menu to inspire guests on crazy taste combinations. Example: ” Chocolate Ice Cream + Banana Slices + Chocolate Chips = Chunky Monkey”. You can also ask the guest of honor to create the “Flavor of the Day” and place the recipe at the top of the menu for others to try. 7. 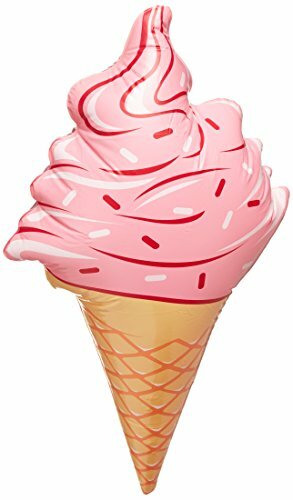 Entertainment: You can plan some fun ice cream themed games like “Pin the Cherry on the Cone” make a Piñata in the shape of a cone and fill it full of candy/goodies. 8. 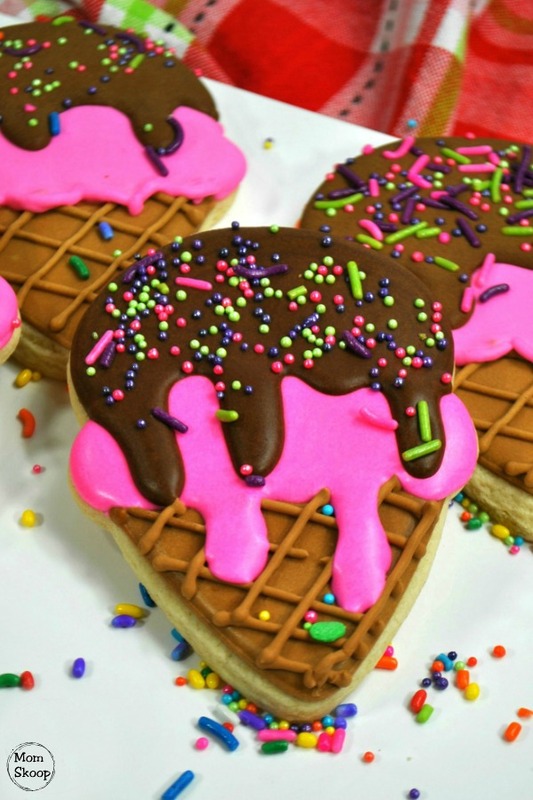 Additional Food: Here are some suggestions for some yummy Ice Cream themed treats! 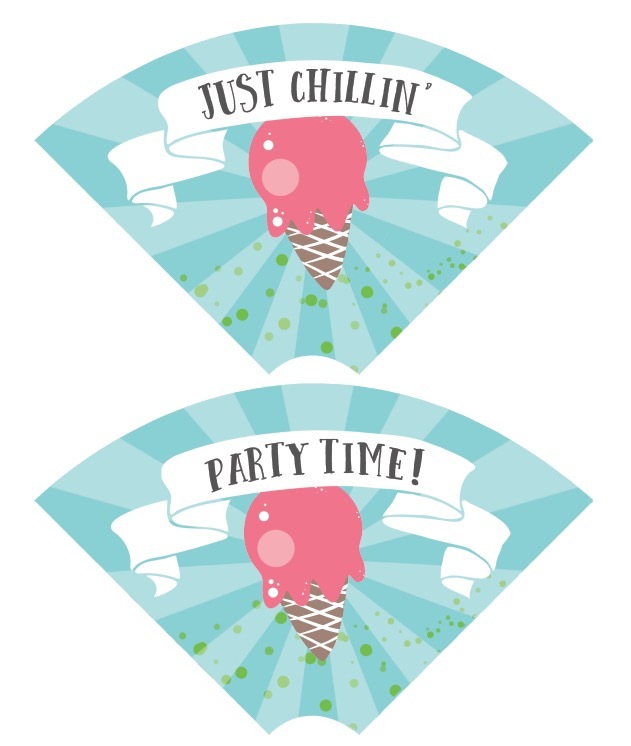 And of course no party is complete with out Printables! 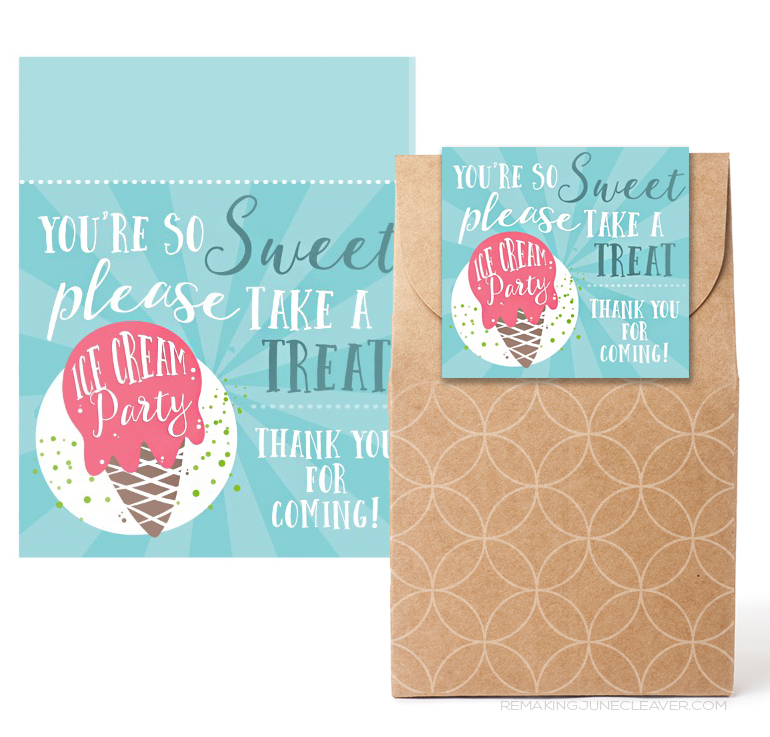 Make sure to check out these Ice Cream Party printables! Did I mention they were totally free! Just download them and print them off! 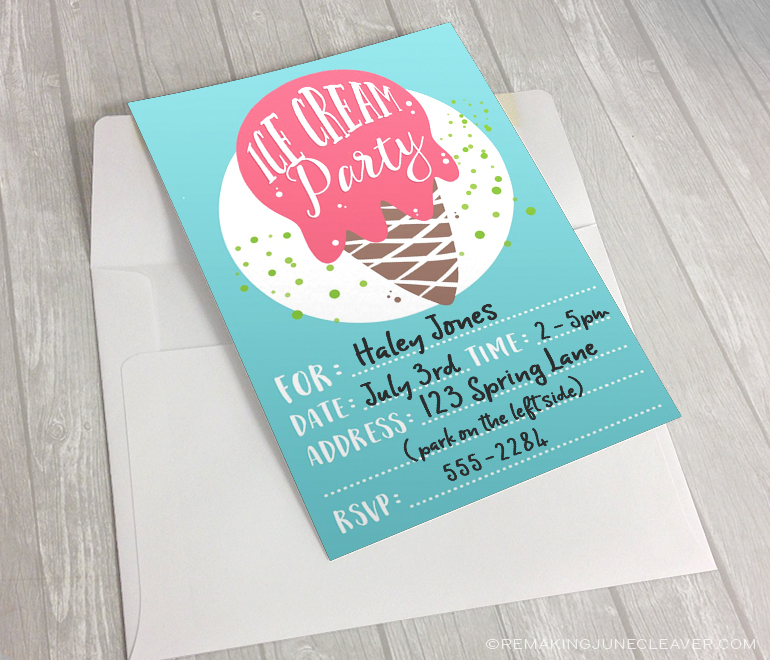 Have you hosted an ice cream party before? How did it turn out?